Not sure where to get a loan? Loans from LoanAssist.com are the answer. 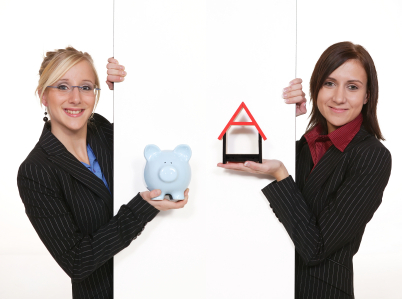 Here are four qualifications that set us apart from typical lenders writing a bank loan. We are not just a mortgage brokers, we are loan processors. Since 1996 we have owned a national mortgage loan processing company. (Why is this important? Because it's the processor that does all the paperwork to get your loan to closing. When you buy a ticket at the airport to fly to another city would you trust the ticketing agent to fly the plane for you? Of course not, you need a pilot to get you there. The vast majority of Mortgage brokers out there are ticketing agents who sell house loans. As mortgage processors we act like the pilot of your loan that makes sure your loan actually closes. We have the real world experience of getting the loans closed (flying the plane) that most loan brokers will never have. This is a crucial distinction that puts me miles ahead of other mortgage loan brokers out there, and helps us close even bad credit loans for our customers. Reasonable fees. I do not charge clients with unnecessary loan fees. Our fees are fair & reasonable and in most cases much less than our competition. Maybe your currently working with another broker on a debt consolidation loan, maybe you just need some financial help - call us, we are the experts and have the best loan rates. We know that lots of people need some financial help. So, for a limited time, we're giving away our mortgage reduction program to all new loan clients. Don't miss out. This program can save you thousands in mortgage loan interest on your new loan. Give us a call today so we can meet for a FREE, NO OBLIGATION consultation. Even if your talking to another lender you owe it to yourself to see how much money we can save you. I'm on the phone all day, so if you get my voice mail, please, please, please leave me a message with your phone number so I can call you back. Your call is very important to me. copyright © 1996 -2014 LoanAssist.com All rights reserved.